Brooklyn Berry Designs: My new obsession with chevron! 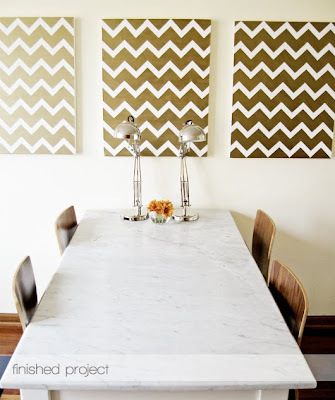 My new obsession with chevron! 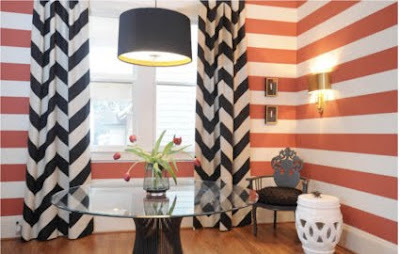 I've seen chevron popping up everywhere lately-in events home decor and in fashion and I have to say I'm in love. I'm thinking about making some curtains like these for my bonus room. I also love this look for a formal dining room. There's a tutorial on the link above on how to make these with just some canvas's and masking tape. I love the graduated tones of brown- GORGEOUS! now to find the fabric! Oh USA Fabric stores How I miss you!